Those who suggest the recent string of terror attacks in Paris have nothing to do with Islam are “lazy” and utterly inaccurate, Britain’s Culture Secretary said. Sajid Javid, the UK’s first elected Muslim Cabinet minister, argued it was impossible to ignore the fact the terrorists identified themselves as Muslims. 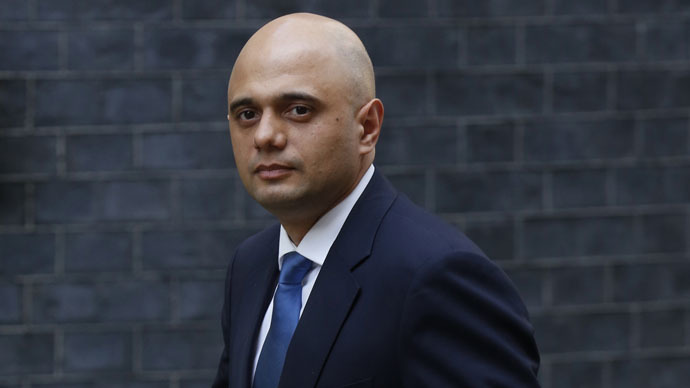 Javid called upon Britain’s Islamic community to do more to counter extremism, arguing British Muslims bear a “special burden” because so many terror attacks are conducted by militant radicals who cite inspiration from Islam. The Culture Secretary implored Muslim Britons to contact their local police station if they believe a friend or acquaintance has become radicalized or could be vulnerable to the teachings of extremist preachers. “The people carrying out these acts – what we have seen just horrifically this week in Paris, what has happened in London, in Madrid, in Peshawar – these people, they call themselves Muslims,” he told the BBC on Sunday. Javid argued such a perspective is misguided because these terrorists are carrying out atrocities in the name of Islam. The Conservative MP rejected the argument that governments should strive to prohibit offensive journalistic content. The Culture Secretary, who previously worked in finance, said Britain has an adequate balance of legislation, which protects people’s rights while upholding freedom of expression. He stressed it is vital that governments refrain from vetting or controlling media organizations' content. While people may object to a paper or magazine’s output, that doesn’t mean such content shouldn’t be published, he argued. Javid praised Britain’s freedom of speech record. “There is no role for government to tell any media organization what they should or should not publish. It is what makes us such a special society,” he said. The Conservative MP refused to specify his opinion on whether Britain’s threat level might be raised, stressing such a decision was for the state’s security officials. 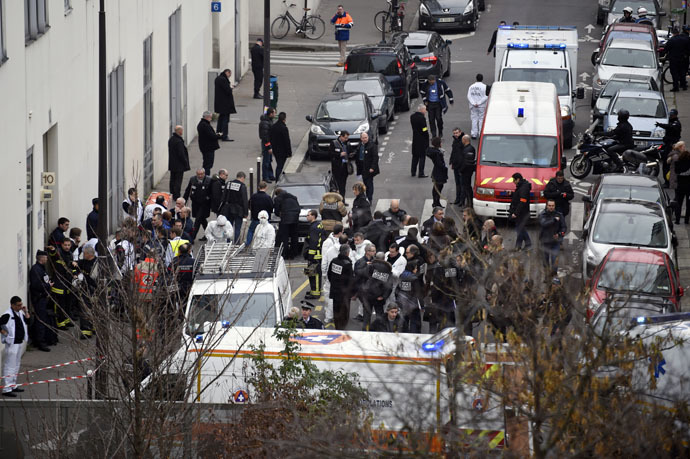 Ex-Royal Navy chief, Lord West, has called for calm in the wake of the Charlie Hebdo massacre and other terror attacks in France. But he acknowledged tighter gun controls and an increased security services budget could be helpful. On Monday, PM David Cameron joined security chiefs to review the risk a Paris-style terror attack poses to Britain. Cameron vowed to issue the state’s security services with greater powers to screen online and telephone chats between terrorism suspects. Heightened security measures to prevent the transit of weapons across UK borders will also be introduced. The government has declined to introduce security outposts at UK underground and rail stations in the aftermath of the French terror attacks, according to Transport Secretary Patrick McLoughlin. Nevertheless, an increased police presence is expected at certain stations. Firebrand Islamic preacher, Anjem Choudary, recently faced heated criticism for his controversial remarks regarding Wednesday’s terrorist attack in Paris. 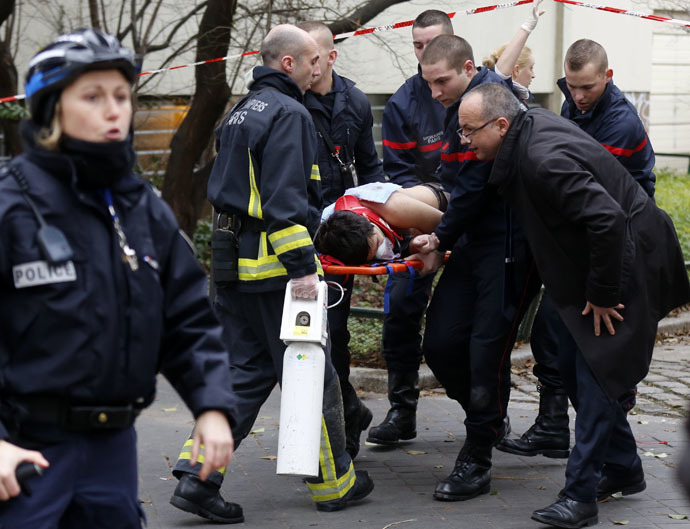 Choudary blamed French satirical magazine, Charlie Hebdo, for provoking the deadly massacre. He also argued Muslims “did not believe in the concept of freedom of expression,” and that Sharia Law was more important than the legal systems of liberal democracies. The comments surfaced in a letter, published by US news outlet USA Today. Radical Islamic preacher Mizanaur Rahman, who was arrested in 2014 on suspicion of terrorism offences, also defended the brutal attack on the office of Charlie Hebdo. Rahman is a close friend of Choudhry, and was convicted of conspiring to murder in 2007. He was handed a six year prison sentence, but released in 2010. “Clearly what happened in France is a war. These cartoons is part of their own war, is part of the psychological warfare,” he said in a talk streamed live online on Friday.